Kensaku Oshiro was born in Okinawa, Japan, in 1977. After gaining a Master’s degree in Industrial Design at the Scuola Politecnica di Design in Milan in 1999, he began working with various studios until 2004, when he joined the design team at Lissoni Associati where he worked until mid-2012. In June 2012, Kensaku moved to London to join BarberOsgerby studio. In June 2015, Kensaku established his own studio in Milan. 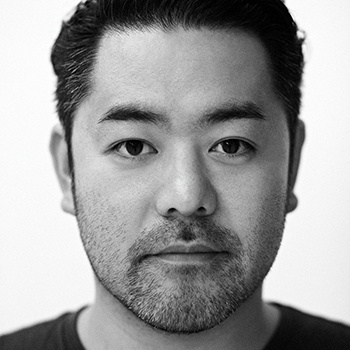 He has participated in numerous exhibitions and competitions and has obtained a range of prestigious international awards, like: EDIDA – Young Designer Talent by Japan Edition (2016), Cristalplant + Poliform design contest – FIRST PRIZE (2012), Gandia Blasco 7th outdoor design contest – FIRST PRIZE (2012), Young&Design – SPECIAL MENTION (2012), Infiniti design De-contest – FIRST PRIZE (2012), IF Design Award (2009), Red Dot Award (2008), EDIDA – Young Designer Talent by France Edition (2006), Design Report Award at Salone Satellite Milano – FIRST PRIZE (2006).